John Maynard Keynes was a British economist who revolutionized economic thought that is widely known as “Keynesianism”. The son of a Cambridge don, Keynes was educated at Eton and Cambridge where his first degree was in mathematics. Encouraged by Alfred Marshall, he turned to the study of economics and in 1908, after briefly working as a Civil Servant, and was offered a lectureship in economics at Cambridge. Keynes first rose to fame after the publication of Economic Consequences of the Peace where he criticized the reparation payments. Keynes observed that during a recession there was a collapse in demand for private goods and assets and a rise in demand for security illustrated by the rise in purchasing power of money. Keynes began his exploration of a theoretical work to examine the relationship between unemployment, money, and price movement during the 1920s. This work was entitled Treatise on Money, which was published in 1930 in two volumes. 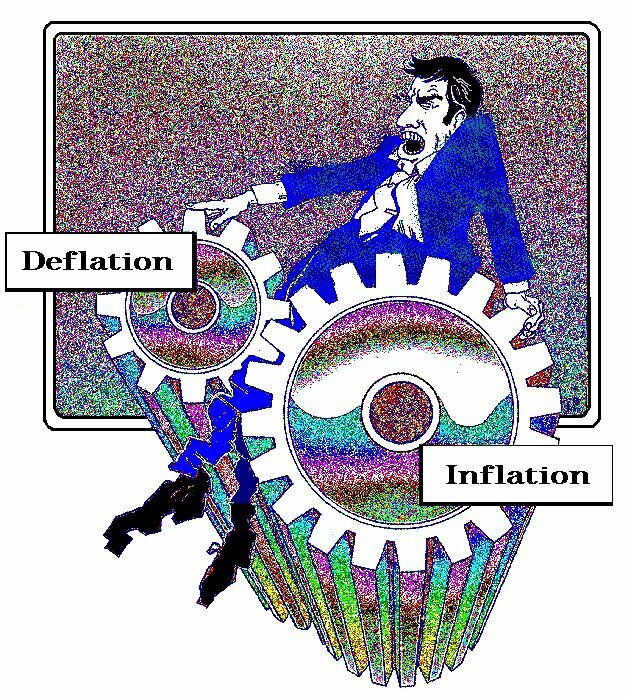 The central core idea boiled down to the relationship that if the amount of money being saved exceeds the amount being invested, which tends to unfold when interest rates are too high whereby interest income exceeds expected income from investment, then the theory suggested unemployment will rise. Consequently, Keynes became a major critic of the British government’s austerity measures during the Great Depression. The austerity idea was that confidence declined because of inflation so one needs to firm up confidence by austerity and that will lower real interest rates. Keynes believed that budget deficits could become a good thing under such recessionary conditions. He wrote, “For Government borrowing of one kind or another is nature’s remedy, so to speak, for preventing business losses from being, in so severe a slump as to present one, so great as to bring production altogether to a standstill. By 1933, Keynes published his next work the Means to Prosperity, which contained specific policy recommendations for tackling unemployment within a global recession. His idea was that government could engage in counter-cyclical public spending to offset the collapse in private spending. The Means to Prosperity contains one of the first mentions of the multiplier effect through the leveraging of the economy with credit. This work was addressed primarily to the British Government, Nonetheless, a copy was sent to the newly elected President Roosevelt and other world leaders. While some attribute the reversal of the trend in the Great Depression to Keynes, this is not true. The work was taken seriously by Britain, but it lad no real impact upon reshaping the austerity demands of Roosevelt’s Brains Trust. In truth, it was Secretary of the Treasury Henry Morgenthau, Jr. (1891–1967) who introduced Roosevelt to George Warren, known as the Farm-Economist. It was Warren to inspired the whole devaluation of the dollar by raising the price of gold from $20 to $35 an ounce. In the 1933 London Economic Conference June 12 to July 27, opinions remained exceptionally diverse torn between inflation and deflation. There were delegates from 66 nations who had hoped to combine international efforts against the worldwide depression by stabilizing international currencies and exchange rates. This was the response to massive capital flows that were rushing around the globe of which Hoover wrote about in his memoirs with the Sovereign Debt Crisis of 1931. 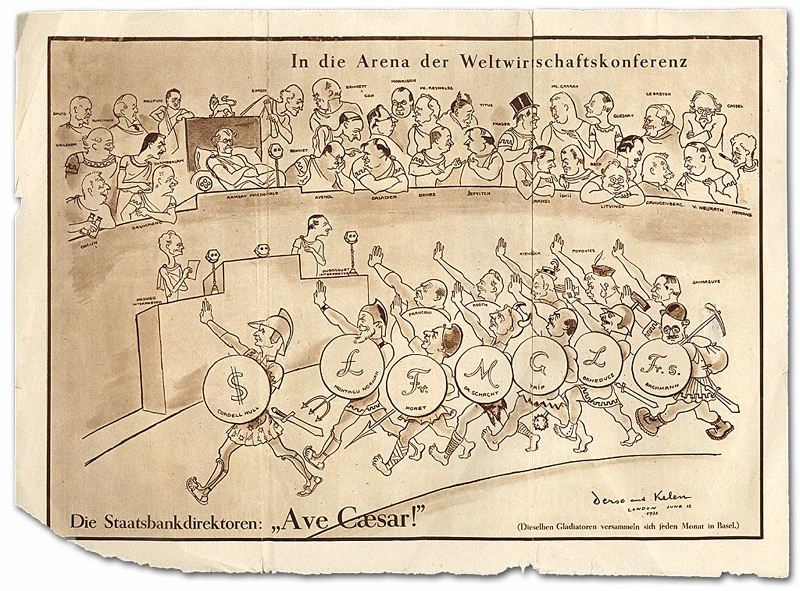 The Conference had been initially planned with support from President Herbert Hoover after he saw how capital was rushing around the globe so fast nobody understood what was taking place. However, Hoover lost the election and now the conference would have to be under the agenda of FDR. The agenda had been agreed to in meetings between Roosevelt and the prime ministers of Britain and France who met with FDR in Washington in May 1933. Here he is pictured in May 1933 with the British Prime Minister Macdonald. 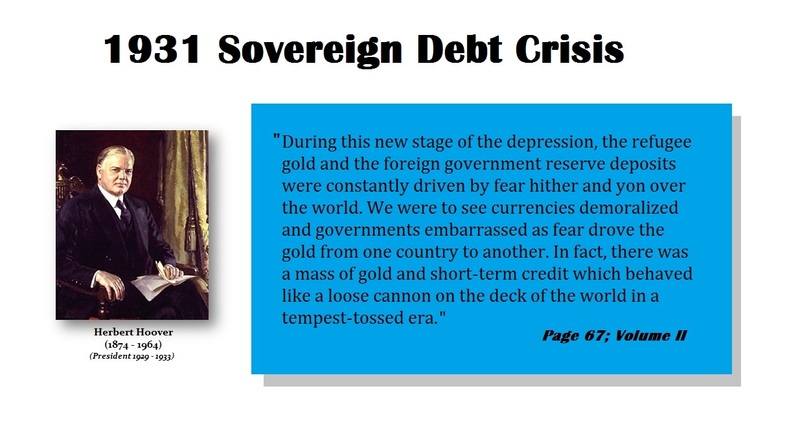 The European powers, dominated especially France who had not yet defaulted on its debt, proposed immediate agreement on currency stabilization under a gold standard given France held large gold reserves. The head of the U.S. delegation Secretary of State Cordell Hull worked out a compromise to stabilize the US dollar, the British pound and the French frank. On July 3 FDR without warning issued a statement that rejected the compromise and destroyed the conference. He refused to renounce freedom to devalue the dollar, insisting that its purchasing power, not its gold content, needed stabilizing. Hull was humiliated. Another delegate, Senator Key Pittman of the silver mining state of Nevada spent his time trying to arrange subsidies for the silver industry. The conference adjourned July 28, a total failure. 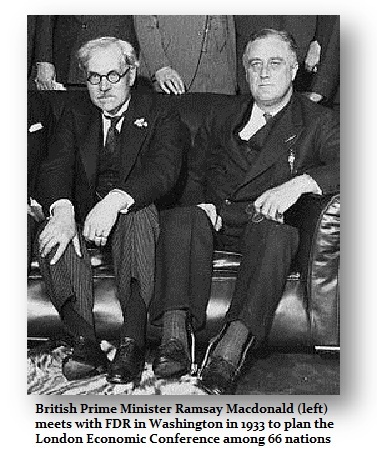 Roosevelt agreed to send an American delegation to participate in the summit and met with the British Prime Minister Macdonald in Washington DC to plan the conference. Roosevelt named Cordell Hull Secretary of State and appointed him to lead the American delegation to the London Economic Conference. Hull strove to enlarge foreign trade and lower tariffs at the conference. Again, in 1943, Hull served as United States delegate to the Moscow Conference. Hull eventually withdrew America from trade negotiations over the tariff issue valuing domestic the domestic recovery over international competition. The London Conference eventually collapsed due to an increase in nationalism that made it impossible to create international cooperation. It was 1933 that Hitler came to power as did Roosevelt. Therefore, the Great Depression brought worldwide economic hardship and that became the fuel behind the age of “New Economics” constructed around Keynes’ theoretical economic revolution. Keynesian-like policies were adopted by Sweden and Germany, but Sweden was seen as too small of an economy to prove Keynes’ ideas would work. Hence, Sweden did not command much attention compelling Keynes to remain silent. There were successful efforts made in Germany under Hitler that helped him to as he was dismayed by their imperialist ambitions and their treatment of Jews. Aside from Great Britain, Keynes primarily focused his attention on the United States. It was in 1931, when Keynes received support for his views on counter-cyclical public spending in the Chicago school, which was actually at that time the foremost center for economic views that challenged the mainstream economic thinking. Nonetheless, the mainstream orthodox economic opinion remained very hostile to Keynes’ ideas and this would be the view the lawyer dominated Brains Trust of Roosevelt. The idea of fiscal intervention to mitigate the depression was absurd. It was not until late 1933 Keynes was persuaded by Felix Frankfurter, a member of Roosevelt’s Brains Trust, to address President Roosevelt directly. However, Roosevelt was already on board listening to George Warren (1874-1938). 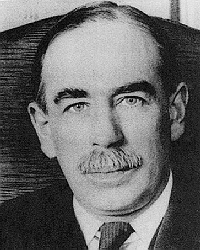 Keynes sent letters to Roosevelt and he had a face to face in 1934, but Roosevelt had already devalued the dollar and confiscated gold. Those that attribute Roosevelt’s policies to Keynes are quite wrong. Keynes at best provided a confirming view. Indeed, Keynes had no real appreciable impact until after Warren died in 1938. It was at that time that he began to have some influence on US economic policy beginning in 1939. Keynes’s magnum opus, The General Theory of Employment, Interest and Money was published in 1936. The work served as a theoretical justification for the interventionist policies Keynes suggested to manipulate society out of the depression. In 1926, Keynes had challenged the classical economic establishment and laissez-faire whereby government non-interference was the dominant theory. This essay, which was published as a pamphlet by the Hogarth Press in July 1926, was based on the Sidney Ball Lecture given by Keynes at Oxford in November 1924 and on a lecture given by him at the University of Berlin in June 1926. In his General Theory, Keynes now outright challenged the earlier neo-classical economic belief that effectively laissez-faire economics was dead. He assumed that government could manage the economy showing that this core concept of Karl Marx (1818–1883) did influence Keynes from that perspective. The Russian revolution was 1917 and the German Revolution was 1918 where Germans were inviting the Russian communists to take control of their new government. That failed, but it led to the hyper-inflation of the early 1920s. The idea that laissez-faire economics, which had adopted the position of unfettered by government interference, was old-school. Governments began to enjoy this idea they could right all wrongs and this would naturally lead to full employment. Keynes simply believed that the classical theory applied only to the past during the 19th century, but this was the new age of industrialization. He concluded that his own theory should be the “general theory” by which nations functioned. Classical economists had believed in Jean Baptiste Say (1767-1832) Say’s Law, which, simply put, states that “supply creates its own demand”, and that in a free market workers would always be willing to lower their wages to a level where employers could profitably offer them jobs. This was true until unionization. Keynes argued that the price stickiness would emerge because in reality workers often refuse to lower their wage demands even in cases where a classical economist might argue it is rational for them to do so. Consequently, in the post Say world, Marxism was taking hold creating unionized workers. Therefore, due in part to the price stickiness, Keynes argued that thise would establish an interaction of “aggregate demand” and “aggregate supply” that may lead to stable unemployment equilibrium. What Say did not anticipate was Marxism. Unions were important with respect to establishing working conditions. 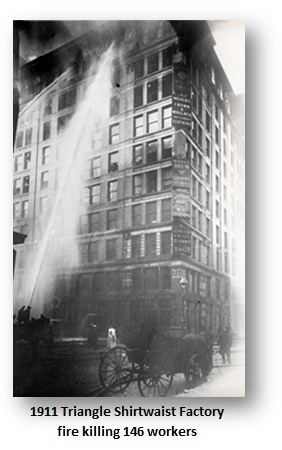 This became obvious with the Triangle Shirtwaist Factory fire in New York City on March 25, 1911, which was one of the deadliest industrial disasters in the history of the city of New York. This event resulted in the fourth highest loss of life from an industrial accident in U.S. history. The factory garment workers were locked in the building. They could not escape when the fire took place. Indeed, this event inspired the unionization of workers. However, unions rapidly migrated from working conditions to demanding higher wages. This trend created the wage stickiness that simply drove employment out of the country by refusing to be competitive. The advent of income taxes in 1913 followed by the parole tax added to the cost of labor in the United States. Unions sought to fix wages and buck the business cycle. But that is the same as saying milk is $5 a gallon and the supply just doubled but it is illegal to pay less than $5. It does not matter if it is labor or a commodity for both are the root of value in a transaction. I will do this for that. Unions thus indeed created a stickiness to the value of labor that only drove unemployment higher offering less stabilization. Keynes argued in his General Theory that demand, rather than supply, was the key variable governing the overall level of economic activity. Aggregate demand, he proposed, equaled the total unhoarded income within a society, which he defined as the sum of consumption and investment. In a state of unemployment and unused production capacity, one can only enhance employment and total income by first increasing expenditures for either consumption or investment. Without government intervention to increase expenditure, an economy will remain trapped in a low employment equilibrium, whereas the demonstration of this possibility has been described as the revolutionary formal achievement of the work. Consequently, the General Theory adopted an activist economic role for government to stimulate demand in times of high unemployment while ignoring supply. One proposal was to increase spending on public works. “Let us be up and doing, using our idle resources to increase our wealth,” he wrote in 1928. “With men and plants unemployed, it is ridiculous to say that we cannot afford these new developments. It is precisely with these plants and these men that we shall afford them.” However, no attention was paid to not merely supply, but also to the unproductive forces of wealth. If the object is simply to spend money and you go spend it on a fancy dinner or go buy a fine piece of jewelry, the former is gone while the latter can still be resold to recoup some portion of that spending. To advocate public spending on anything, even unnecessary items, fails to build an economy. Merely building roads that will not facilitate trade is a waste of money and will not improve economic conditions. His General Theory is often viewed as the foundation of modern macroeconomics – the age of “New Economics” where the same core issue of Karl Marx (1818–1883) controls that it is the state that should manage the economy not the private sector to eliminate the business cycle. At the time, few senior American economists agreed with Keynes and neither did Roosevelt’s Brains Trust. through most of the 1930s. Once economists realized that they could become the master of the world with politicians manipulating society, the majority jumped on board. Keynes himself had only very limited participation in all the theoretical debates that followed the publication of the General Theory as he suffered a heart attack in 1937, requiring him to take long periods of rest. It has been argued that Keynes’ ideas were hijacked and transformed much closing to Marxism behind the curtain. Indeed, looking at the tax rate in the United States rising to 94% by 1945 and the definition of the rich that has migrated downward from $5 million, one must wonder who was the driving force – Marx or Keynes. Keynes began to recover in 1939, but Keynes seems to have spent the rest of his life and his professional energies in trying to reverse the socialism and address the practical side of economics. 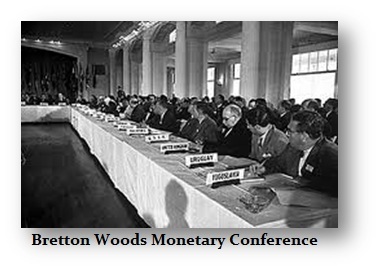 The post-War negotiations with America, and the new international financial order that was presented at Bretton Woods, New Hampshire. Keynes’ major work, the General Theory that stressed the possibility of less than full employment could be achieved by government intervention perhaps began to eat at him inside when he saw how government ran with the idea they were justified in any intervention. 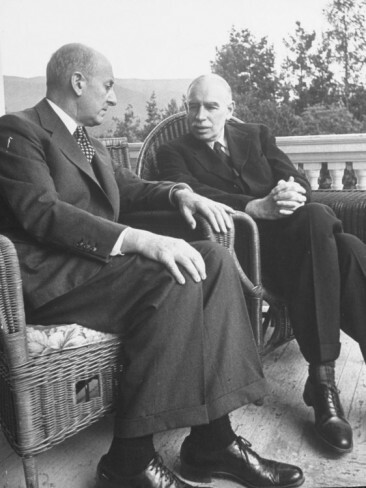 At the 1944 Bretton-Woods Conference, Keynes met with Morgenthau, Roosevelt’s Secretary of the Treasury, and convinced the delegates that his revolutionary ideas would reshape the world. Hence, Keynes played a leading role in the creation of the International Monetary Fund and advocated that government could manipulate society into steady full employment. Keynes made the same mistake as Marx. He assumed government was (1) honest, (2) capable of comprehending the economy, and (3) would not be persuaded by lobbyist to bend the rules for them. 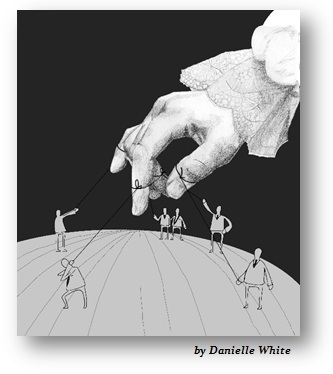 Both Keynes and Marx suffered from the same fate – too much faith in humanity and the failure to comprehend that Adam Smith’s Invisible Hand also applied to government once in possession of that power.